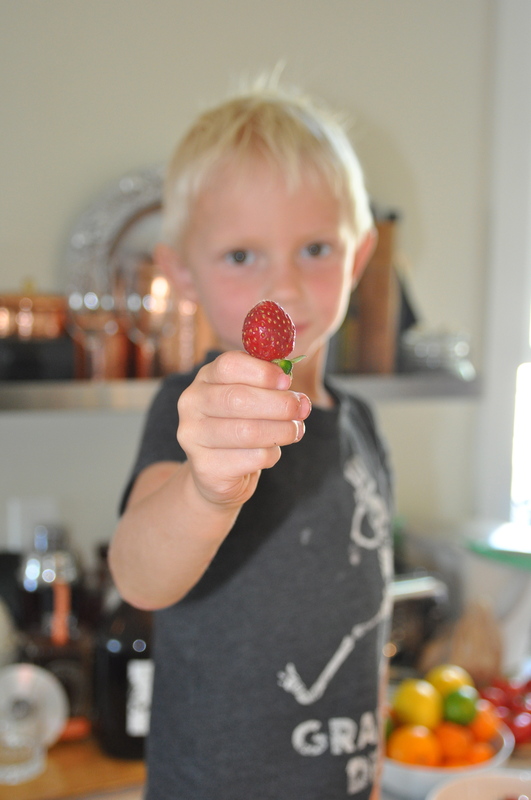 With summer coming to an end on the East Coast and our summer just beginning, now is the time to take advantage of the season’s bounty. On Saturday, my friend McKenzie and I took a trip to the Ferry Plaza Farmers Market. We arrived early (7:30am) to enjoy some Blue Bottle coffee and a waffle before hitting the market. 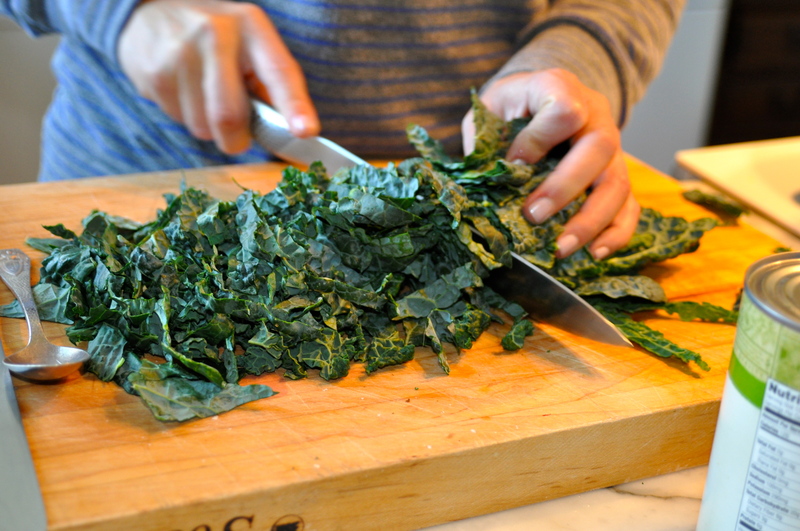 McKenzie is an unbelievable cook and makes it all look so easy in the kitchen. She also happens to be a great teacher–a bonus for me. 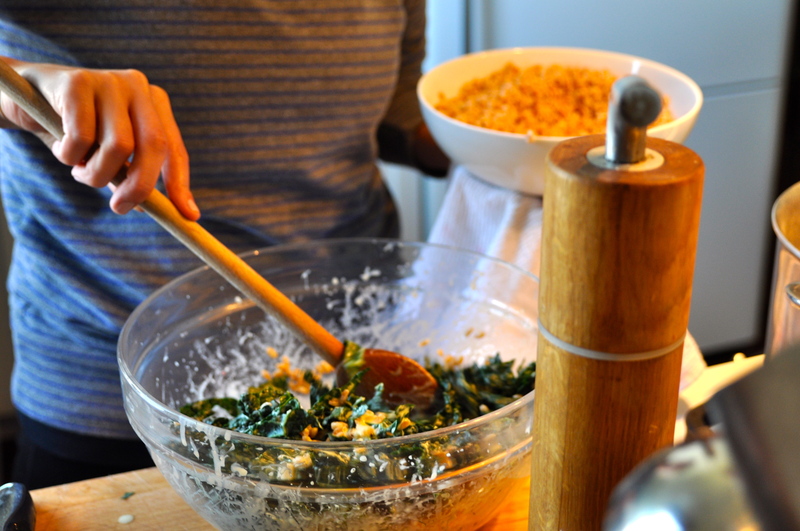 Saturday was my second cooking lesson with her (I need about 20 more) and we concentrated on simple, delicious salads. 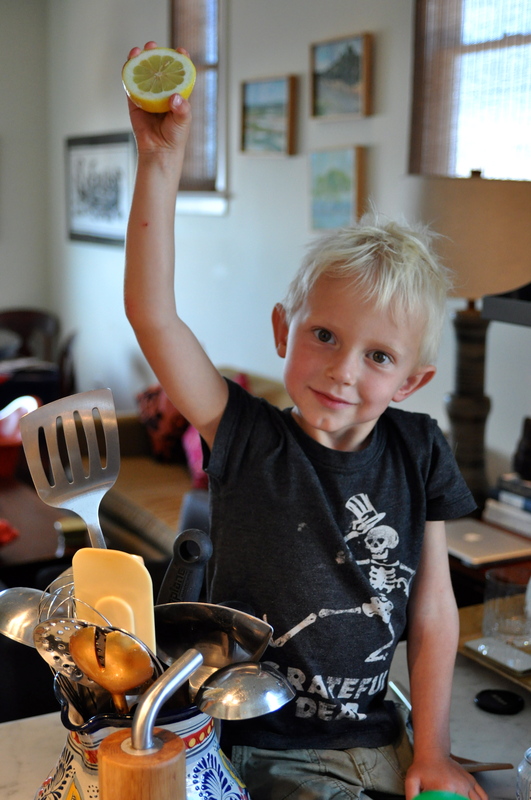 Her son, my bff Grant, was a huge help in the kitchen. 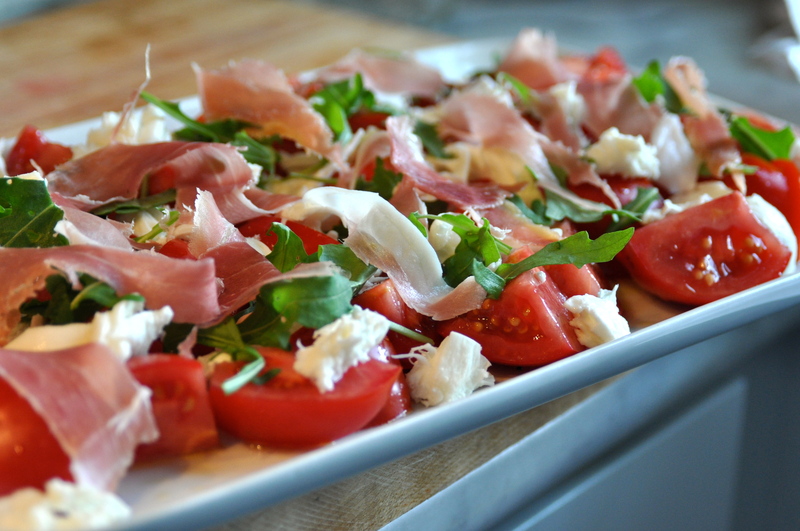 See her favorite summer salad recipes below! 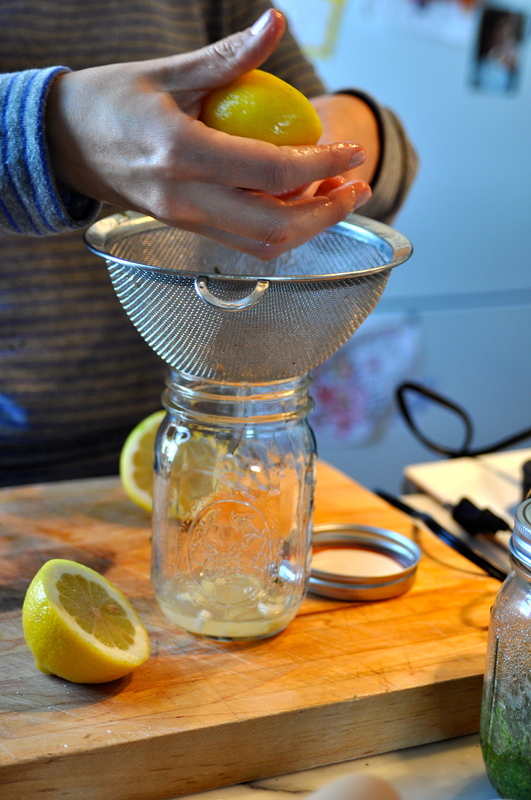 Mix all ingredients save for oil and then either stream oil in last and emulsify or add to a mason jar and shake vigorously to incorporate. 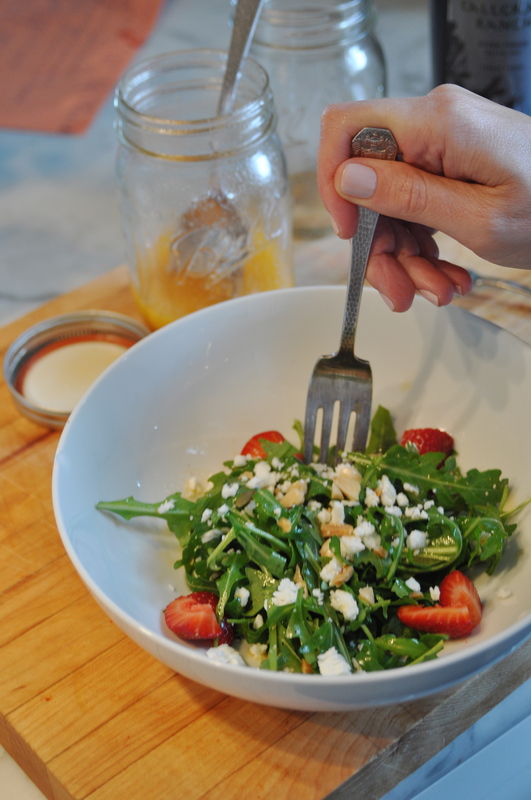 In a serving bowl gently toss the arugula leaves in the dressing, add the cheese, strawberries and nuts. 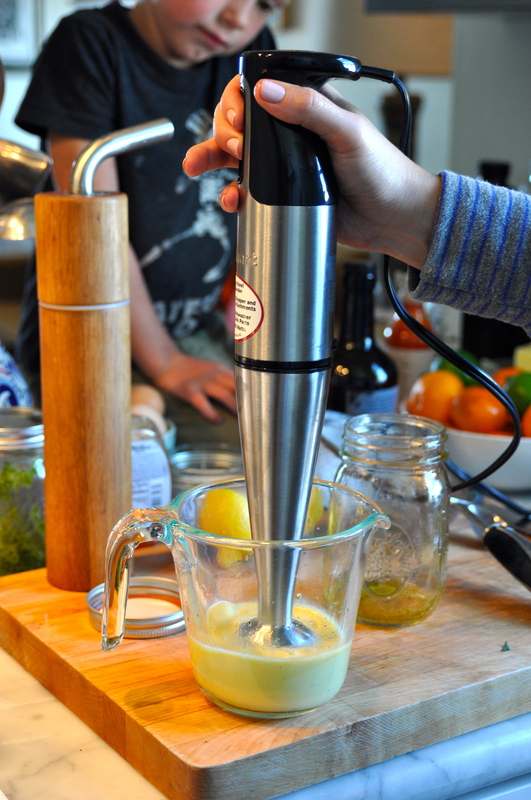 Make the dressing by using a hand blender or food processor to emulsify the ingredients. May have to adjust by adding more salt, honey or even a touch of water. 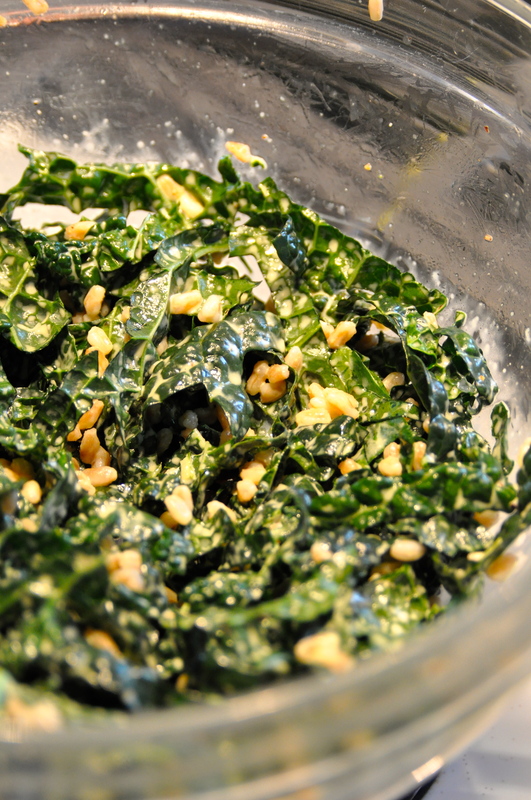 Trick with kale: it’s bitter and needs to sit in dressing prior to serving. 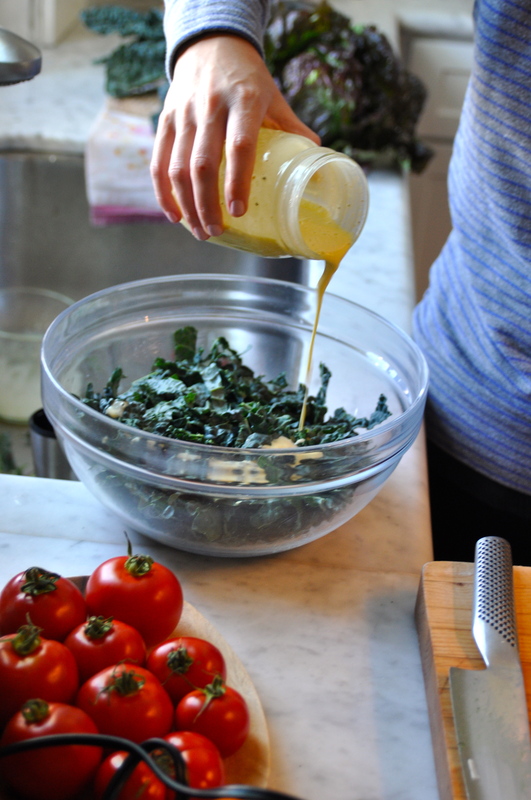 Combine the kale with dressing in a large bowl and use hands to work dressing in. Add the farro with a couple pinches of salt. 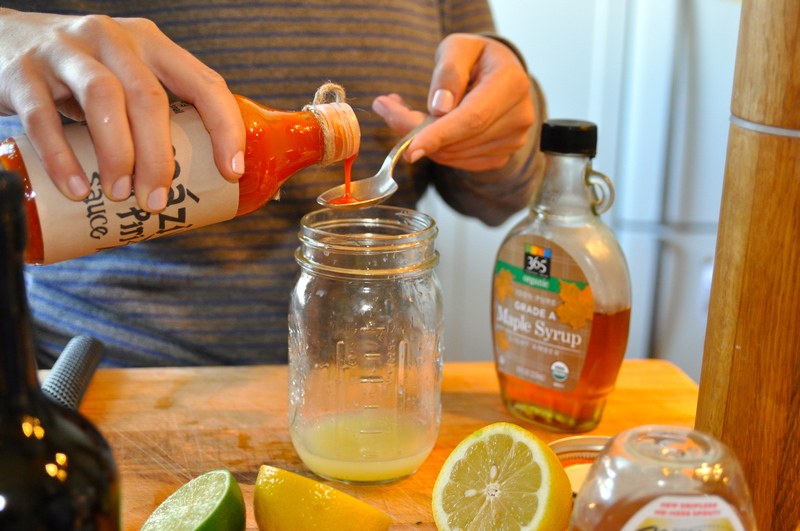 Before you’re ready to serve, add the avocado and nuts. 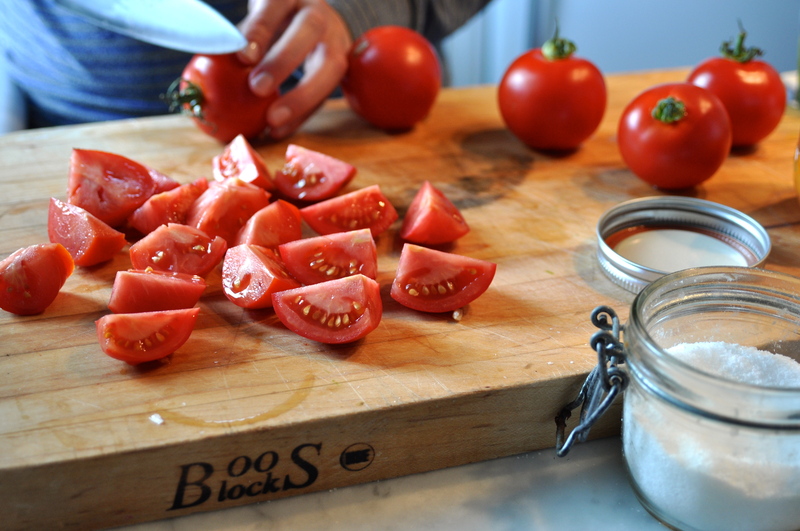 Cut tomatoes in quarters. 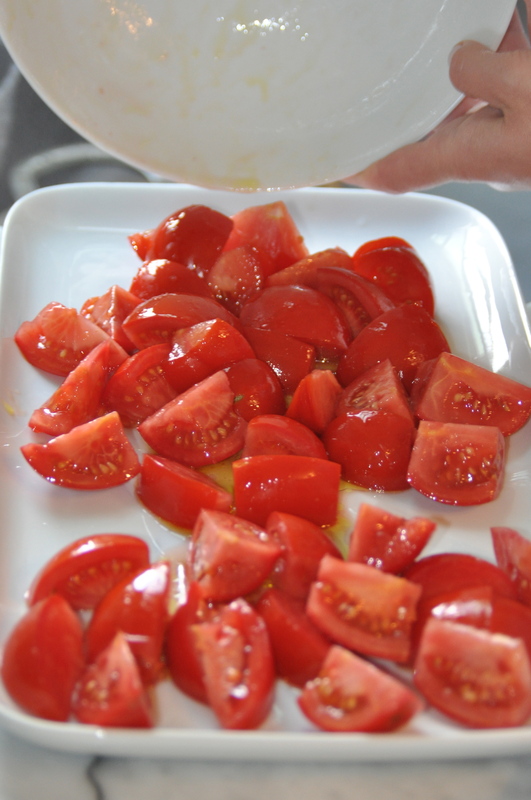 In a bowl, salt the tomatoes heavily (tomatoes need salt) and a drizzle of olive oil. 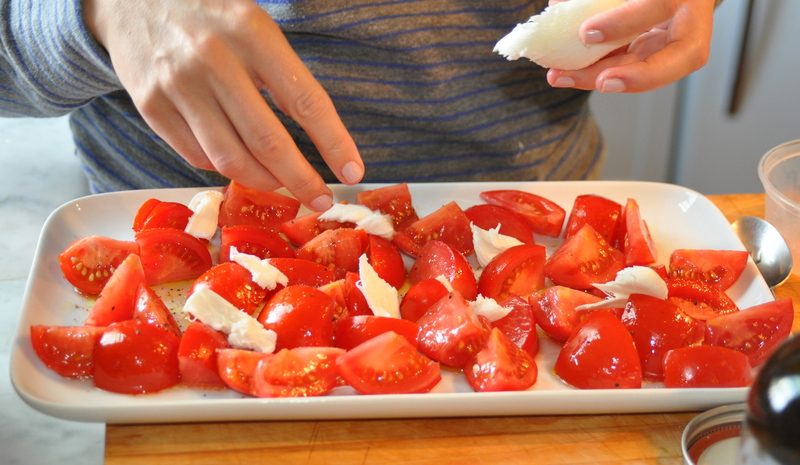 On a side plate or large serving plate, arrange the tomato slices. 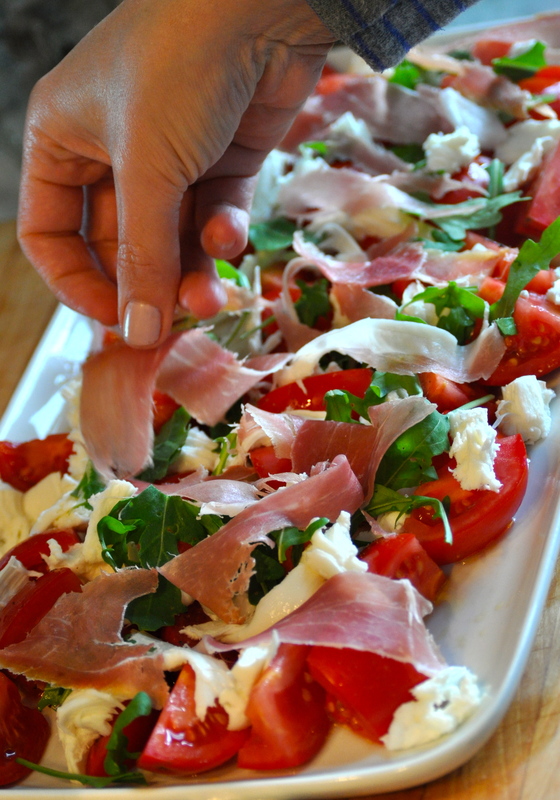 Tear the mozzarella cheese over the tomatoes. 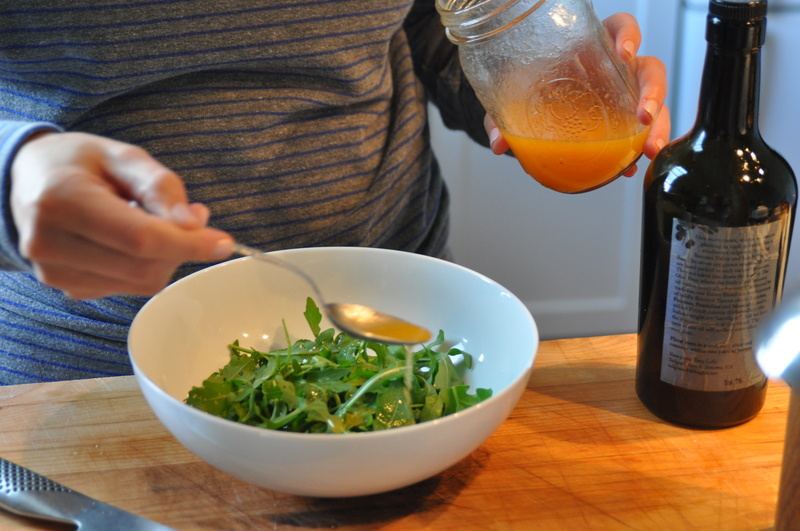 Then, add some arugula and top with strips of sliced prosciutto and an additional drizzle of olive oil.